We're on the same wavelength this week with Dahl posts! Love your applesauce with yogurt and pumpkin seeds. 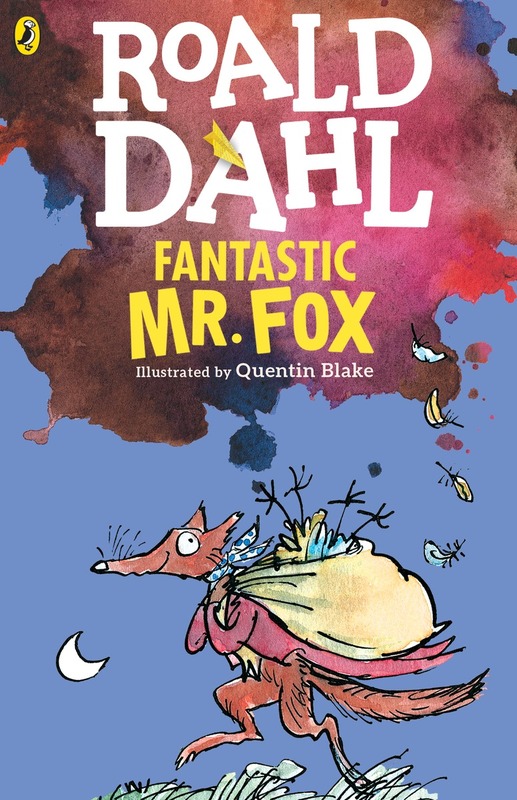 Haven't seen the film but love the Fantastic Mr. Fox book. Foxes are a special fave as we have a pet fox we feed every night (he comes when called!). That's a really innovative way to make applesauce. I wonder if the post-baking step of removing skin and cores is more or less work/time than paring the apples and then cooking them in the more standard way? "Fantastic Mr.Fox" is definitely a wonderful film! We don't mind skins, so I'd leave them. But I think the roasting would add a depth of flavor to my normal applesauce method. Whenever I read apple recipes I think about subbing in guavas, to use what is growing here. Your apple dish sounds delish, as does the film. @Jama Love that story! I see foxes every now and again near my home too - but I'm not enterprising enough to feed them! @Mae I found removing the skin & cores to be very easy post baking - your hands get a bit messy, but it pulps the flesh to just the right consistency! @Beth F I kept most of the skins in, in the end - they're delicious! @Claudia Ahhh, guavas! I'd love to try that with this recipe. YUM. This looks delicious and a fun way alternative to stewed apples. That just looks damn yummy!